Guatemala's Minister of Culture, Manuel Salazar Tezahuic (in white hat) and the U.S. 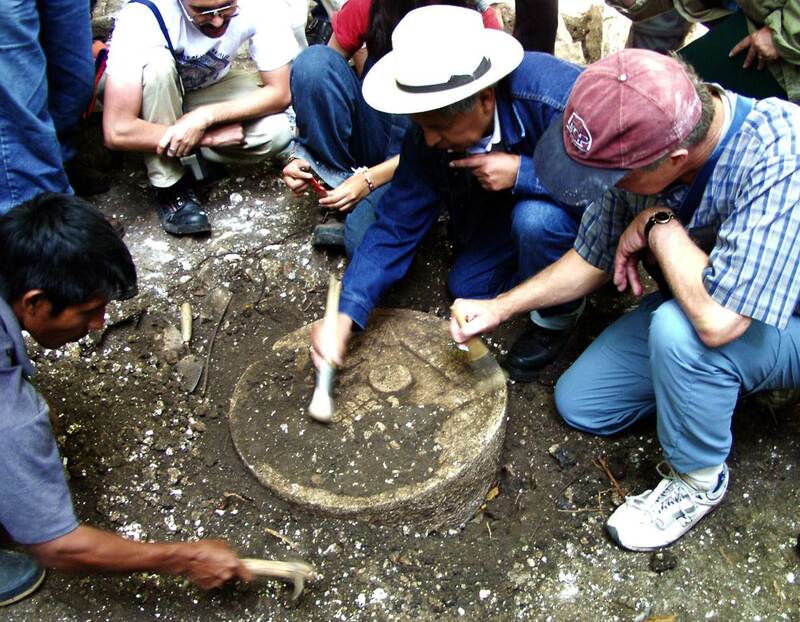 Ambassador to Guatemala, John Hamilton, assist archaeologist Paola Torres in the excavation of Cancuen Ballcourt Marker 3. Photo: Andrew Demarest.